EPA loses over 1,500 workers in first 18 months of Trump administration. During the first 18 months of the Trump administration, records show, nearly 1,600 workers left the EPA, while fewer than 400 were hired according to a September 8, 2018 Washington Post report. The exodus has shrunk the agency’s workforce by 8 percent, to levels not seen since the Reagan administration. The trend has continued even after a major round of buyouts last year and despite the fact that the EPA’s budget has remained stable. 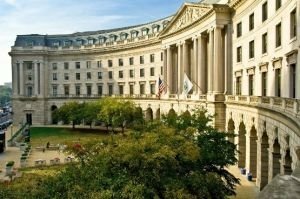 Those who have resigned or retired include some of the agency’s most experienced veterans, as well as young environmental experts who traditionally would have replaced them — stirring fears about brain drain at the EPA. The sheer number of departures also has prompted concerns over what sort of work is falling by the wayside, from enforcement investigations to environmental research. According to data released under the Freedom of Information Act and analyzed by The Washington Post, at least 260 scientists, 185 “environmental protection specialists” and 106 engineers are gone. Several veteran EPA employees, who have worked for both Republican and Democratic administrations, said the agency’s profound policy shifts under Trump hastened their departure. “I felt it was time to leave given the irresponsible, ongoing diminishment of agency resources, which has recklessly endangered our ability to execute our responsibilities as public servants,” said Ann Williamson, a scientist and longtime supervisor in the EPA’s Region 10 Seattle office. She left in March after 33 years at the agency, exasperated by having to plan how her office would implement President Trump’s proposed cuts and weary of what she viewed as the administration’s refusal to make policy decisions based on evidence. “I did not want to any longer be any part of this administration’s nonsense,” she said. In a September 7, 2018 statement, Acting Administrator Andrew Wheeler said he was focused on right-sizing the EPA, which Republicans have argued overreached under President Barack Obama, burdening industry with regulations such as those focused on climate change. “With nearly half of our employees eligible to retire in the next five years, my priority is recruiting and maintaining the right staff, the right people for our mission, rather than total full-time employees,” he said. Congress has so far maintained the EPA’s budget at just more than $8 billion, and while current proposals could shrink that amount, any cuts are likely to be modest. During the first 18 months of the Trump administration, records show nearly 1,600 workers left the EPA, while fewer than 400 were hired. According to The Washington Post, at least 260 scientists, 185 “environmental protection specialists” and 106 engineers are gone. Contact MIRATECH for stationary engine emission compliance solutions.